Yes, another dresser has been transformed by decoupage. 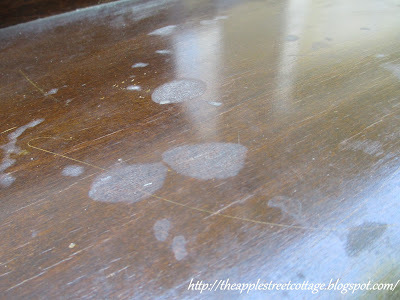 If you'd like to see the last poplar dresser I found, you can click HERE. I began this project with new napkins. That's right, the drawers are done with napkins. I have a full tutorial HERE. 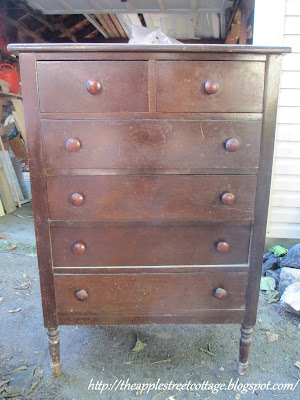 In the interest of full-disclosure, this dresser started out with pink paint but it fought me every inch of the way. The final result was this chocolatey (that's a word, right?) brown with the pink showing through the distressing. I made sure to paint the edges of the drawers to give it a 'finished' look. All in all, I'm pretty happy with how she turned out. I think I'll call her 'Rose'. Rose is going up for sale this weekend. She belongs in an old house in a bedroom with a brass bed, don't you think? Thank you for stopping by. It's always a pleasure to have visitors at the Cottage. Have a great week! 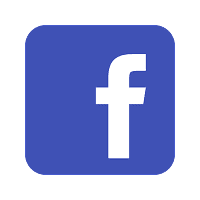 I hope you'll pin, share, comment, and follow. 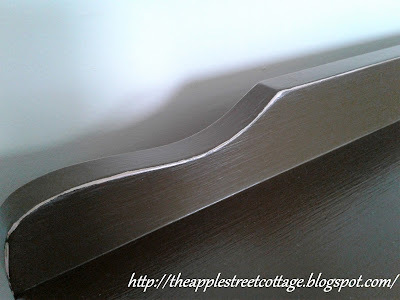 If you click on those 3 little lines at the top right of the blog, you'll see where to find me! This came out so pretty. Thank you, Debra...thanks for stopping by! I never knew that about poplar wood. 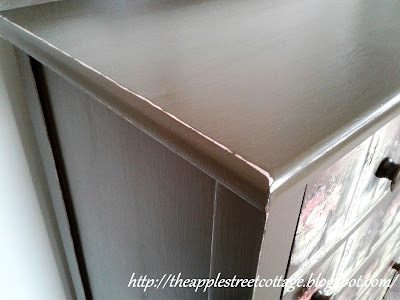 It might explain a difficult wooden dresser I had a while back that I just couldn't get to stain evenly so I gave up and painted it. I really like the chocolaty finish with the pink peaking out. Sort of like Neapolitan ice cream. Neapolitan Ice Cream - great analogy, Audra! And, yes, poplar can be difficult to work with. I think that's why they put such dark finishes on it back in the day. Thank you for visiting the Cottage - come back again soon! Wow, that turned out beautiful! Very creative! Thank you, Pam. I'm really enjoying finishing drawers this way! I love how it turned out. You're very skillful. Thanks for sharing on Sunday's Best. Thank you Rhonda, you are so sweet to say that! I love it! 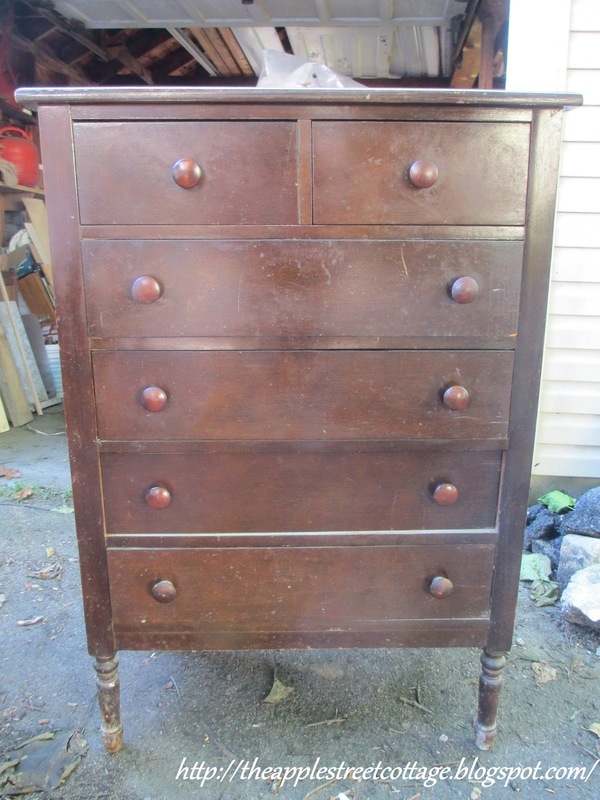 I think it could go in a room with some French Provincial, as well as a brass bed, too! What a wonderful finish for a tired piece of furniture! French Provincial is a wonderful idea, Kathy. So glad you like it - thanks for visiting the Cottage! And I LOVE it, again! Thanks for sharing at Vintage Charm! Pinning! Thanks, Cecilia, I really appreciate it! Rose is just lovely, great job. 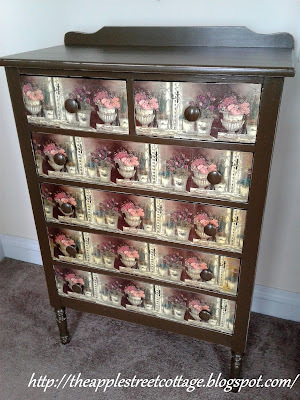 Decoupage makes such an enormous improvement on old furniture that can't be restored back to anything really attractive doesn't it? It just lightens it up and feminizes it - and you're right, it needs to go with a brass bed! I couldn't agree more, Leanne. It's such an easy, inexpensive way to transform a piece! I'm so glad you stopped by. Come back again soon, won't you? You did a great job with the decoupage, I hope it sold well for you. Thank you Kathleen...no sale yet, but I'm keeping my fingers crossed! That's a great transformation. I've never tried to decoupage furniture, but I can see how it could hide a lot of flaws. Thanks for sharing on Merry Monday. 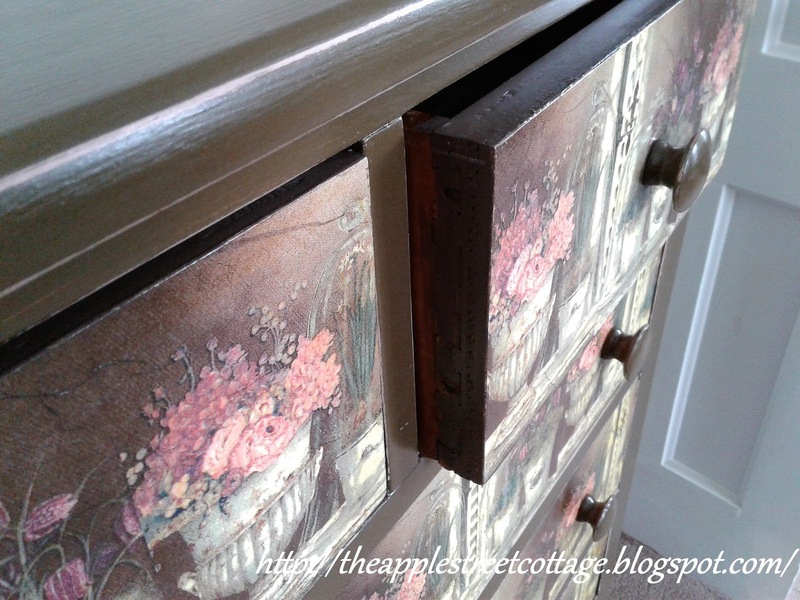 Decoupage is becoming one of my favorites and I plan to try it on a few other things too! This is so lovely Ann. 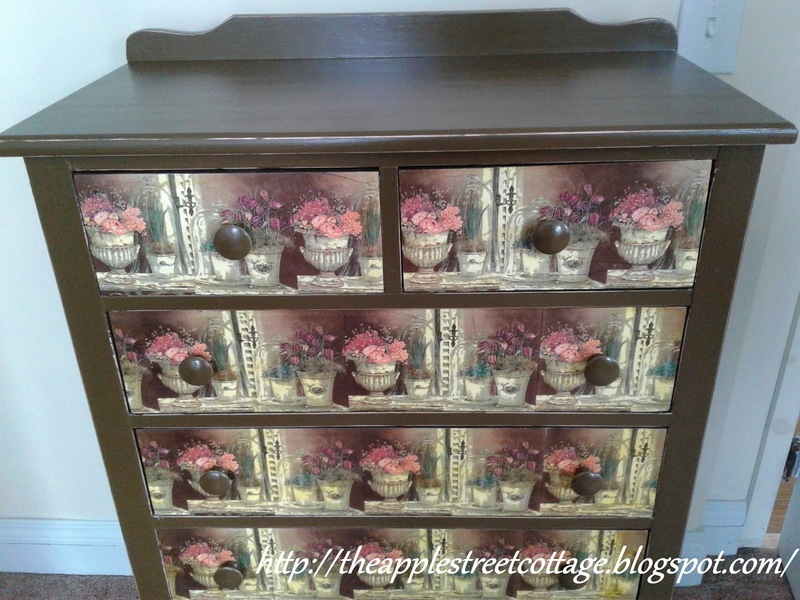 Once you get the hang of decoupage it can become addictive. Thank you, Mary...and SO true. I keep looking for new pieces to decoupage!